Emboldened by the generosity and subtlety that incorporating doTERRA Essential Oils has brought to my life and my family's well-being, I have chosen to integrate a doTERRA business into my work. I am honored to be part of a global team, led by my beloved teacher and mentor, Elena Brower. The culture of this community has changed everything for me. It completely aligns with a holistic way of being. At home, we love that doTERRA Essential Oils provide us with safe, natural alternatives to chemical and pharmaceutical products. We also love that the ethics of doTERRA align with our own around consciousness, sustainability, ecology, service, integrity and health. I am happy to support you any way I can with your wellness. I am happy to answer any questions and give you as much guidance as you want. Do you want to create your account today? No - Would you please tell me tell me a little bit more about what you are working on so that I can make precise recommendations to serve you well? Email is fine or I am happy to connect in person. All starter kits waive the $35 wholesale membership fee and allow you to purchase any dōTERRA products at wholesale pricing for the next year. There are several kits to get you started bundled for deeper savings. However, there is new option that I recommend the most going forward. It literally includes what I employ everyday to support the health of myself, family and friends. * This is where I started. *I purchase this 2x per year. > CLICK ON BECOME A MEMBER. > ENTER YOUR DETAILS, AND MAKE SURE YOU SEE MY PHOTO (with B) AND NAME. KAT BETTGER, 5333932. > SELECT THE KIT THAT BEST FITS YOUR NEEDS AND YOUR BUDGET. > ADD ON ANY ADDITIONAL OILS/ PRODUCTS AT WHOLESALE PRICING. > ENTER YOUR PAYMENT INFO AND PROCESS...AND WELCOME! The benefits of making the decision to partner with doTERRA are massive but different for everyone. Personally, I have seen a positive shift in every area of my life. I also witness this shift in others over and over and again. My main objective is to invite you into living an Empowered Life. What this is really about it working together to achieve what we could not on our own. If you are here, you’ve likely taken many steps in the direction of health and well-being, you likely practice yoga and meditation, eat whole organic foods, and care deeply about your relationship with Mother Earth, you are most likely spiritually inclined, and yet … you are wanting something more … and this tension has led you here. We are collaborative beings and I love how doTERRA supports this in every aspect. My purpose is to hold space for you and empower you to move in the direction of your dreams. Together, anything is possible + I am here to see you grow. But first we start with oils, because they help heal, clear, create and open space to receive it all. ⚡️BONUS: CUSTOM WELCOME PACKAGE WITH ENROLLMENT of ANY STARTER KIT. Consider the LRP (Loyalty Rewards Program) your Monthly Wellness Box. Entirely optional, you can customize this box every month and it shows up on your doorstep. What I love is that I no longer need to shop around at different stores and sites like I used to. And, this rewards program recognizes your efforts in taking care of yourself. If you purchase by the 15th and your order is at least 125pv you get a free oil in addition to the 30% back in points you are earning. For me, the LRP is an empowering way to ensure that I am investing in, and self-directing, my health care consistently. 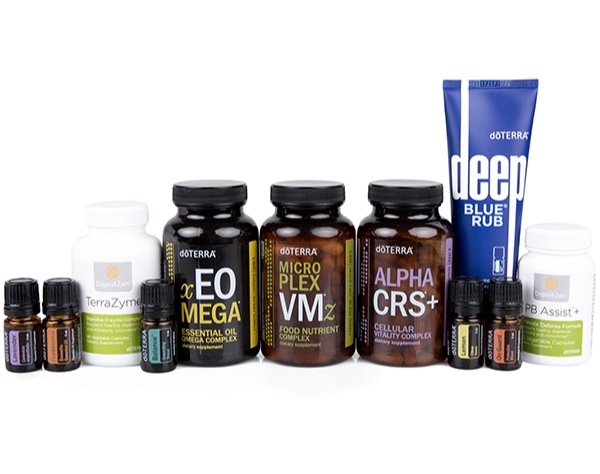 Choosing doTERRA to support our health took the guess work out of what to purchase. Where we used to put our resources, now simply goes into our convenient monthly wellness box - saving our family time and money. If you are interested in learning about and experiencing doterra for yourself - please fill out this form and I will get back to you right away. I am happy to teach an Essential Oil + Yoga + Meditation experience should you be interested in hosting. YOGA AND MEDITATION PRACTICE PROVIDE SUBTLE AND OVERT ADVANTAGES FOR YOUR HEALTH; ESSENTIAL OILS OFFER POTENT PHYSICAL AND EMOTIONAL SUPPORT. COMBINED, THESE TOOLS OFFER COMPREHENSIVE BENEFITS FOR YOUR VITALITY AND LONGEVITY. LEARN TO USE YOGA, MEDITATION AND ESSENTIAL OILS TOGETHER FOR YOUR OVERALL WELLNESS, AND WAYS TO INCORPORATE EACH INTO YOUR DAILY LIFE. THIS CLASS IS OPEN TO ALL WHETHER YOU LOVE AND USE DOTERRA OILS ALREADY or ARE CURIOUS ABOUT THEM. What seeds do envision planting in the future? What actions are you doing today to clear the space and feed the soil? Is there a story that you are still telling yourself that no longer serves you? Could you release it or reframe it for empowerment? Winter is a beautiful time to reflect and contemplate. It the space between, the fallow time, a potent time. Where we can release and create space. What you do today, creates your tomorrow. i would be honored to SUPPORT YOU in anyway that I can.